If you’re looking to escape the rainy weather in your hometown, get some golf in, or just enjoy the hot, hot heat, Phoenix and Scottsdale Arizona are a great way to do just that. 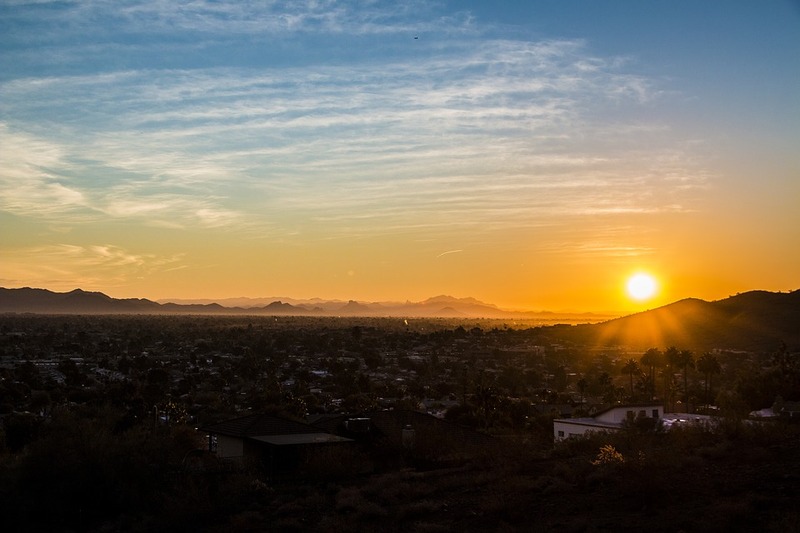 We recently visited Phoenix, and after our research, below you’ll find the best things to do in Phoenix and nearby Scottsdale on vacation. Phoenix is a great jumping off point if you’re interested in seeing the Grand Canyon. Honestly, we thought it would be a little disappointing, how cool can a giant hole in the ground be, right? Despite having seen hundreds of photos, and had countless people tell us we just *have* to go see it, we were still in awe when we pulled up and got to witness firsthand the sun setting. Absolutely stunning. Here’s all the info you’ll need on entrance fees to the Grand Canyon. It’s about a three hour drive from downtown PHX, but we can’t recommend it enough. There are plenty of great in-park and near-the-park accomodations if you want to make a night out of it as well. Troon North – A public “must-play,” Troon North is an oasis of fairways right smackdab in the middle of the desert. Cactus and an outline of mountains make for one of the most beautiful settings for 18 holes. Southern Dunes Golf Club – A Schmidt and Curley project, Southern Dunes is just outside of the city, and plays long, really, really long. 7,300 yards of golf in the summer heat. We-Ko-Pa Golf Club – Scott Miller-designed, one of the most beautiful courses that plays right between canyons, up and down some massive hills, and plays wide for less… accurate players. Definitely one of the “smartest” courses in the area. Beckett’s Table – A newer restaurant to the area (built in the last few years), Beckett’s Table is now one of the hottest restaurants in the area, with not only great food, but an incredible setting. Definitely check it out if you’re looking for a beautiful experience with your meal. Pig & Pickle – We got into an argument about tater tots (ok more of a discussion), about how underrated they are. Don’t worry, Pig & Pickle has you covered. It’s a more casual environment, but the food is fantastic and not terribly expensive. We love the “drinking food” menu too if you’re looking for some tasty beverages. Little Miss BBQ – A must, Little Miss BBQ is the barbecue you’re looking for when you’re in the Southwest. Definitely more affordable, and the food is fantastic. Do everything you can while in Phoenix to go here for a meal. Arcadia Park – Just about everything you want, sports fields, trails, playground and more. Buffalo Ridge Park – Trails, playground, basketball courts, this is a great one for a short hike with kids! South Mountain Park – More hiking here, it’s actually one of the largest municipal parks in the whole country. Not a ton of specific things to do, but the beauty is captivating.